Students of all disciplines deeply explore their interests with help from expert faculty members and millions of dollars of funding each year. The numbers are in! At Hope College, our numbers demonstrate our commitment to student-faculty collaborative research and scholarly projects. Here, inquisitive students work alongside faculty and staff mentors to pursue original research that adds new knowledge and understanding to all academic fields. Through these hands-on projects, students learn more about the world — and about themselves. Each spring, hundreds of students present the results of their research projects at Hope’s annual Celebration of Undergraduate Research and Creative Performance. In 2015, 360 students presented 229 projects at the Celebration. Faculty are consistently awarded funding for their research and scholarship from external agencies and foundations. From July 2014–July 2015, faculty were awarded over $2.5 million to pursue more than 40 projects on topics ranging from nanoscience to Latin-American feminism. These collaborations contribute to deeper knowledge in every discipline. And they make Hope a national leader in undergraduate research at liberal arts colleges. Check out the research opportunities currently available to students. Between the college’s extensive in-house collection of materials and the easy to access online catalogs and databases, the Van Wylen Library is the perfect starting spot for any research. Use the library’s research tools. Hope College offers pre- and post-award assistance to faculty and staff to support academic scholarship, faculty development, research and curriculum. 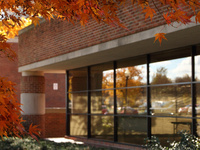 Visit the Office of Sponsored Research Programs. The Hope HHMI Program aims to increase the number of students who move from novice researcher to research leader and to train STEM research leaders who are ready to carry out scientific investigations that address the problems of society. It is made possible through the generous support of the Howard Hughes Medical Institute. With over 300 students participating each year, the Celebration of Undergraduate Research and Creative Performance is an annual opportunity to showcase collaborative student-faculty research projects. The Frost Research Center and its Office of Institutional Research provide Hope College and other clients with diverse resources and analysis capabilities while engaging in all aspects of the research process. Through classes, consulting and incubators, the Center for Faithful Leadership provides support and resources to all Hope students looking to co-create and validate social and economic business ventures. Collaborating with Van Wylen Library research librarians, the Klooster Center for Excellence in Writing provides assistance and instruction to students across the entire research and writing process. The Joint Archives of Holland actively collect, interpret, care for and make available archival collects from Hope College, Western Theological Seminary and local government. Located in the Theil Research Center, the A.C. Van Raalte Institute offers a collection of research focusing on the Dutch and Dutch Americans. Hope College has the numbers to prove it. Hope is consistently near the top of awarded NSF grants among liberal arts colleges and was ranked fourth for undergraduate research and creative activity by US News & World Report. Hope College has received $32.7 million in external grants to support research over the past 10 years. More than 350 students present collaborative research each year. Hope has held the Celebration of Undergraduate Research and Creative Performance for more than 15 years.